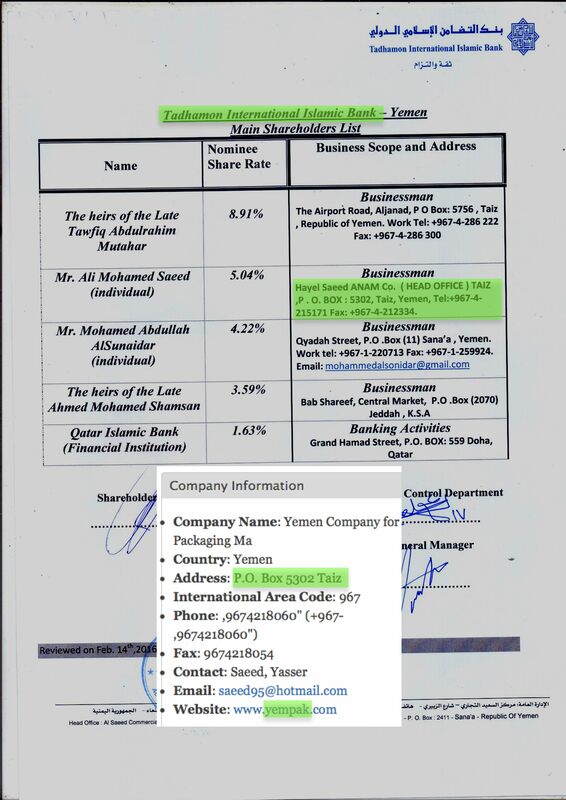 I found a share certificate for the Daesh-linked Tadhamon International Islamic Bank (see Forbes report below) that lists PO Box 5302, Taiz as a share holder’s business address. 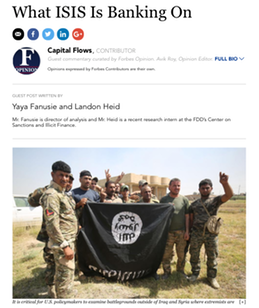 PO Box 5302 is the Headquarters of the privately owned $10-billion/annum HSA Group and also the address of YemPak - the al Qaeda front company I visited in 1997. 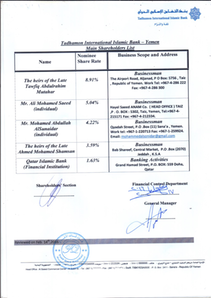 Among numerous other entities and individuals, Qatar Islamic Bank is also listed on the share certificate. PO Box 5302 is theYemPak factory address I visited in 1997 and that I now think was an al Qaeda logistics and operations centre. I believe that was where most of al Qaeda's attacks were planned and prepared for, including 9/11. I immediately report this information to SO15. 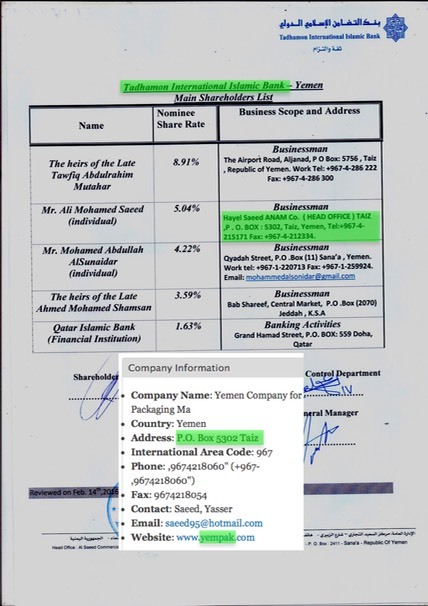 The Tadhamon International Islamic bank share certificate lists PO Box 5302 as the business address of HSA Group family member Mr. Ali Mohamad Saeed. The email address saeed95@hotmail.com is on an online business listing for YemPak, again found via google.